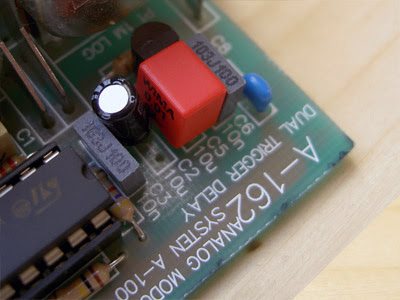 An update to this post on how to modify a Doepfer A-162 Dual Trigger Delay for perfect filter pings. Replacing the A-162's stock 10uF capacitor with a 0.1uF helped, but meant that most of the useful range for pinging filters (0.5 - 2ms) lay within the first 10% of the pot's throw i.e. settings between zero & 1. An attempt to reduce the resistance of the pot failed to help, so I replaced the 0.1uF with a 0.01uF/ 10nF cap. This did the trick: a setting of 5 now yields a ca. 2ms long pulse. Cwejman MMF-1, RES-4 & Metasonix R54. As you can hear, the tone and volume are affected by the length of the pulse. This is even more apparent when the filter additionally receives pitch CV. The R54 shows the most dramatic response to changes in pulse length, especially when an attenuated multiple of the trigger is used to apply some pitch bend or 'thwap'. The A-162 is also perfect for pinging low pass gates. Above is a picture of the solder-side of the board. I've marked two possible connections, depending on the type of capacitor you want to use. The two holes marked in pink are connected by a trace to allow for 'extra leg room'. 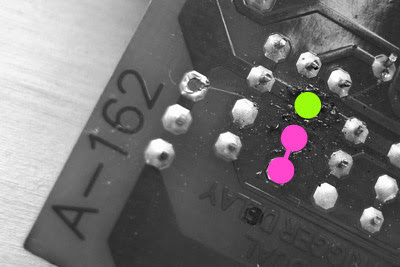 The cap should be connected between the green and one of the pink holes. Pay attention to the polarity if you're using an electrolytic cap. Needless to say, this mod will void your warranty and is your own risk. It's not difficult, but if you don't want to do this yourself, Doepfer offer a modification service on most of their modules at very reasonable rates. Thanks to the Wigglers who helped in this thread. The sound is lo-fi, but musical. 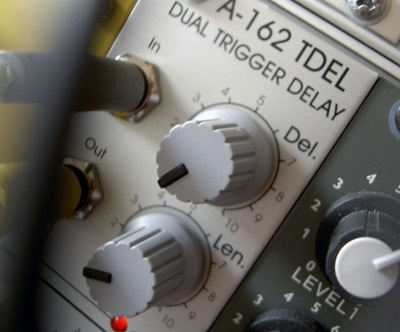 The additional trigger inputs open-up many possibilities when used in conjunction with a modular. Click here for more examples. Because the tap circuit is passive, it apparently needs a fairly hot trigger and it won't respond to very fast changes, but this shouldn't be an issue in most cases. 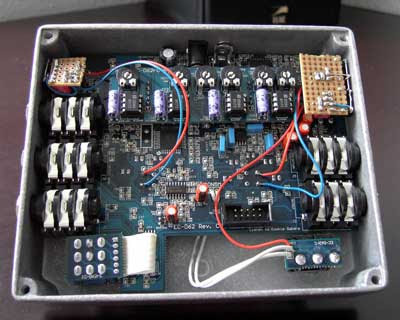 If you like the sound and possibilities of this mod but don't fancy the DIY involved, Rechner7 is selling his DMB. You can get in touch with him at Rechner7 (ät) directbox (döt) com. Live patch featuring a modified Doepfer A-162 Trigger Delay to ping filters, including a Cwejman MMF-1, RES-4 and a Metasonix R-54. I love the sound of a pinged filter and normally use Maths' EOA to convert a gate signal into the short pulse necessary to achieve this. Having only one Maths in my system, this can be an 'expensive' use of the module, so I wondered whether the A-162 could be a cheap alternative. At 10V, the A-162's output is hot enough to push a filter into oscillation. Unfortunately, the stock module's minimum time is only just short enough to avoid a double-trigger. I first replaced the standard 10 uF timing capacitor with a 1 uF, but, despite shortening the range by a factor of 10, it didn't give the scope I wanted, so I settled on a 0.1 uF blocking cap! At the beginning of the recording, you can hear the effect the pulse width has on the MMF-1's ring as I increase the length up to the point where it double-triggers and back. With a 0.1 uF cap, the pulse is so short it can also be used to FM the filter to add a percussive edge. 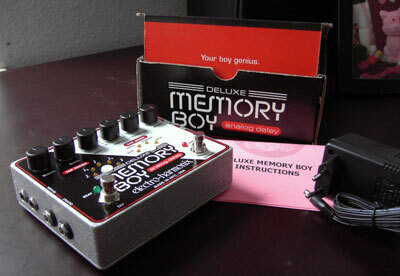 If you want to try this mod on your Trigger Delay, or other Doepfer module with a timing capacitor, there's more info here. See an update to this post here.